The International Union for the Conservation of Nature updated its “red list,” also adding temperate slipper orchids and the Japanese eel to the 22,103 species on the list classified as critically endangered, endangered or vulnerable to extinction. There are 99 known species of lemur — all of which live in Madagascar — and 90 of those have been listed as at risk of extinction, including 22 critically endangered species. Political instability and increasing poverty rates in the island country have increased illegal logging. Nearly 90 percent of Madagascar’s natural vegetation has been destroyed, and the rest is critically fragmented. 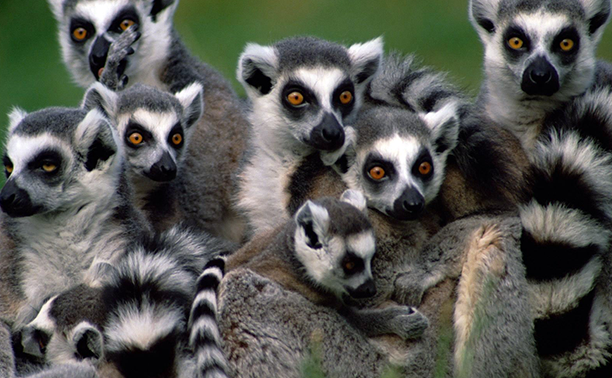 Lemurs are also being poached as a source of food. The list also found the Brazilian three-banded armadillo — this year’s FIFA World Cup mascot — remains vulnerable to extinction after declining by more than 33 percent over the past 10 to 15 years due to habitat loss (Jessica Aldred, The Guardian, June 11).